Simpson, C.T. 1900. New and unfigured Unionidae. Proceedings of the Academy of Natural Sciences of Philadelphia 52: 74-86. Simpson, 1900, Proc. Acad. Nat. Sci. : 75, pl. 2, fig. 2. Simpson, 1900, Proc. U.S. Nat. Mus. : 544. Simpson, 1914, Descr. Cat. Naiades: 94. 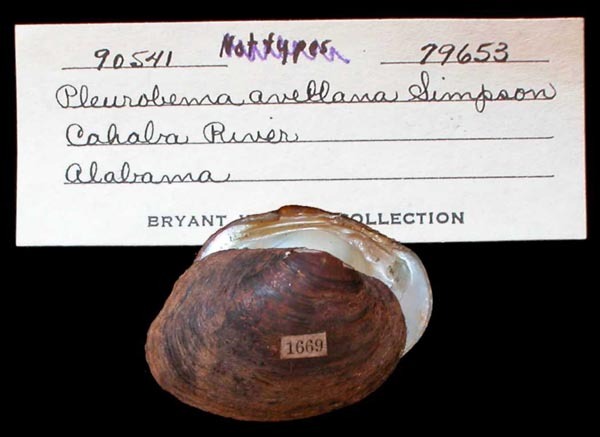 Type(s): HOLOTYPE USNM_150473, Little Patsaliga Creek, Alabama. Simpson, 1900, Proc. Acad. Nat. Sci. : 76, pl. 5, figs. 1-2. Simpson, 1900, Proc. U.S. Nat. Mus. : 533. Simpson, 1914, Descr. Cat. Naiades: 58. 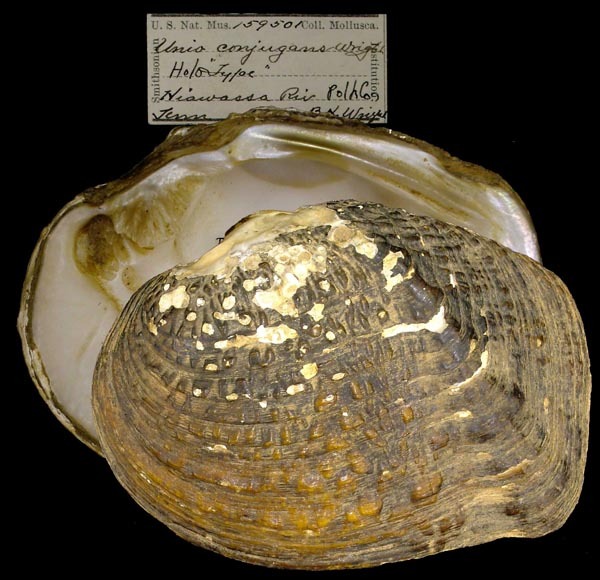 Type(s): HOLOTYPE USNM_152700, Little Niangua Riv., Camden Co., Mo. Simpson, 1900, Proc. Acad. Nat. Sci. : 75, pl. 1, fig. 4. Simpson, 1900, Proc. U.S. Nat. Mus. : 564. Simpson, 1914, Descr. Cat. Naiades: 150. 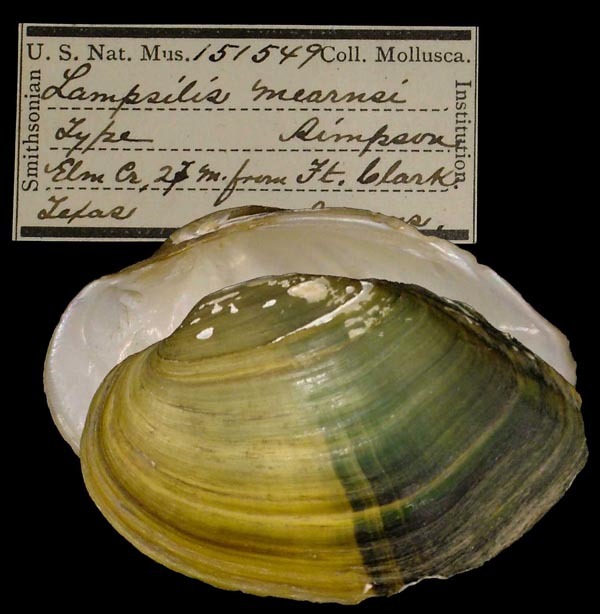 Type(s): LECTOTYPE USNM_151549, Elm Cr., 27 mi from Ft. Clark, Texas. Simpson, 1900, Proc. Acad. Nat. Sci. : 77, pl. 2, fig. 3. Simpson, 1900, Proc. U.S. Nat. Mus. : 595. Simpson, 1914, Descr. Cat. Naiades: 268. Type(s): HOLOTYPE USNM_152964, Patook [=Patuca] River, Capunta, Honduras. Simpson, 1900, Proc. Acad. Nat. Sci. : 84. Simpson, 1900, Proc. Acad. Nat. Sci. : 84 [as ‘cylindracea’]. Simpson, 1900, Proc. U.S. Nat. Mus. : 807. Simpson, 1914, Descr. Cat. Naiades: 958. Simpson, 1900, Proc. Acad. Nat. Sci. : 81, pl. 2, figs. 6-7. Simpson, 1900, Proc. U.S. Nat. Mus. : 758. Simpson, 1914, Descr. Cat. Naiades: 778. 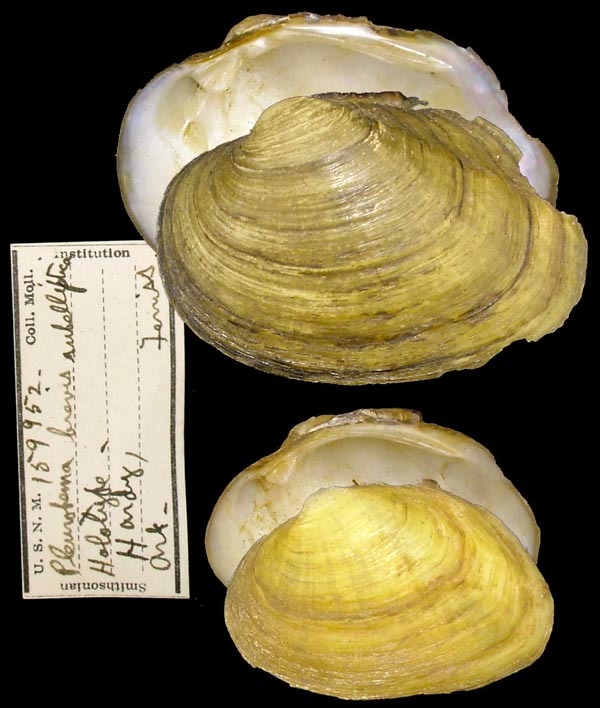 Type(s): HOLOTYPE UMMZ_79653, Cahaba River, Alabama. Simpson, 1900, Proc. Acad. Nat. Sci. : 82, pl. 2, fig. 1. Simpson, 1900, Proc. U.S. Nat. Mus. : 761. Simpson, 1914, Descr. Cat. Naiades: 788. 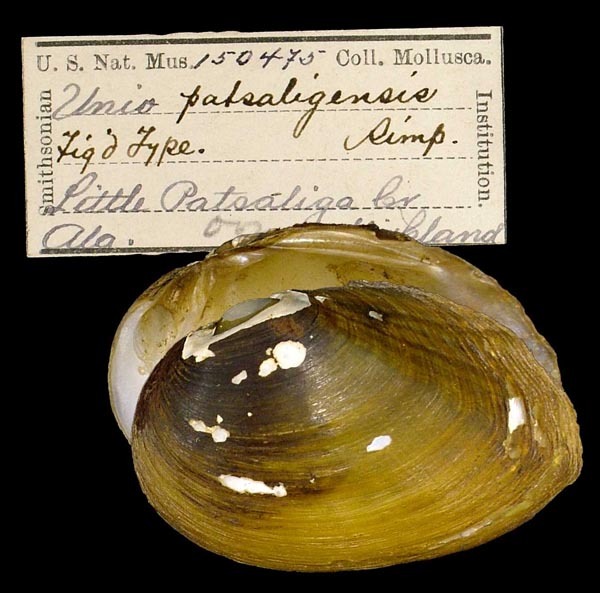 Type(s): HOLOTYPE USNM_150475, Little Patsaliga Creek, Alabama. ‘Wright’ Simpson, 1900, Proc. Acad. Nat. Sci. : 81, pl. 4, fig. 4. 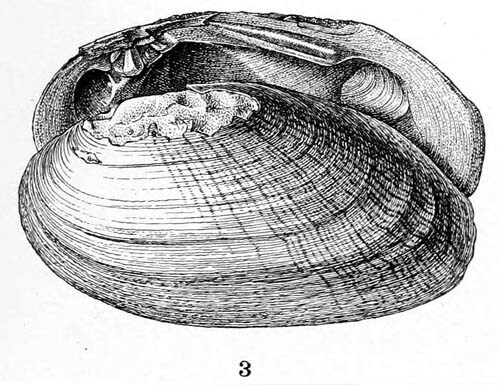 Pleurobema argentea pannosa Simpson, 1900. Simpson, 1900, Proc. Acad. Nat. Sci. : 82. Simpson, 1900, Proc. U.S. Nat. Mus. : 763. Simpson, 1914, Descr. Cat. Naiades: 799. 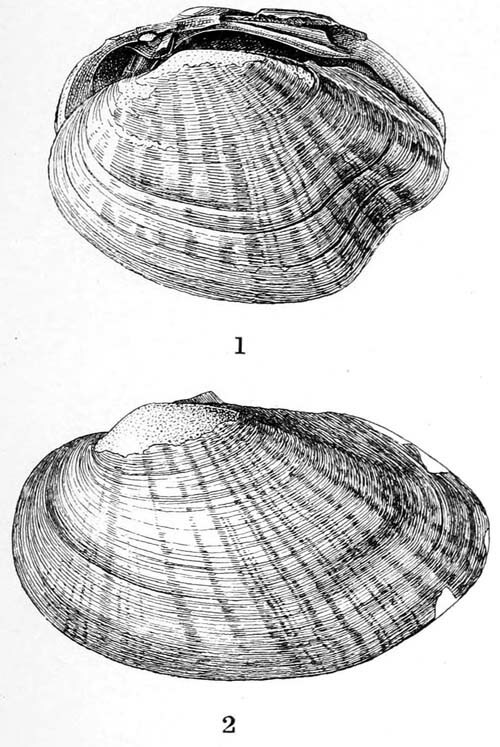 Pleurobema brevis subelliptica Simpson, 1900. Simpson, 1900, Proc. Acad. Nat. Sci. : 80. Simpson, 1900, Proc. U.S. Nat. Mus. : 763 [as ‘subilliptica’]. Simpson, 1914, Descr. Cat. Naiades: 801. 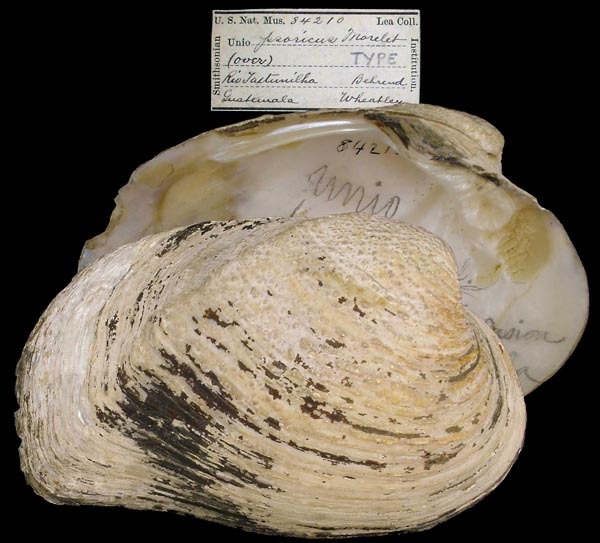 Type(s): LECTOTYPE USNM_159952, Hardy, Ark. Simpson, 1900, Proc. Acad. Nat. Sci. : 84, pl. 4, fig. 7. Simpson, 1900, Proc. U.S. Nat. Mus. : 840. Simpson, 1914, Descr. Cat. Naiades: 1101. Simpson, 1900, Proc. Acad. Nat. Sci. : 79, pl. 5, fig. 3. Simpson, 1900, Proc. U.S. Nat. Mus. : 613. Simpson, 1914, Descr. Cat. Naiades: 335. 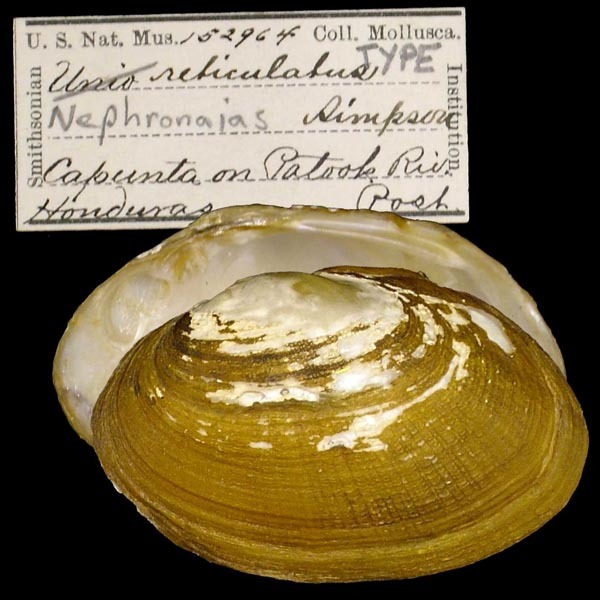 Type(s): HOLOTYPE USNM_124615, Little Red R., near Clinton, Ark. Simpson, 1900, Proc. Acad. Nat. Sci. : 83, pl. 2, fig. 8. Simpson, 1900, Proc. U.S. Nat. Mus. : 790. Simpson, 1914, Descr. Cat. Naiades: 887. Simpson, 1900, Proc. Acad. Nat. Sci. : 83, pl. 2, fig. 4. Simpson, 1900, Proc. U.S. Nat. Mus. : 796. Simpson, 1914, Descr. Cat. Naiades: 909. Type(s): HOLOTYPE (MONOTYPY) USNM_128991, Usumacinta River, Guatemala. Simpson, 1900, Proc. Acad. Nat. Sci. : 82, pl. 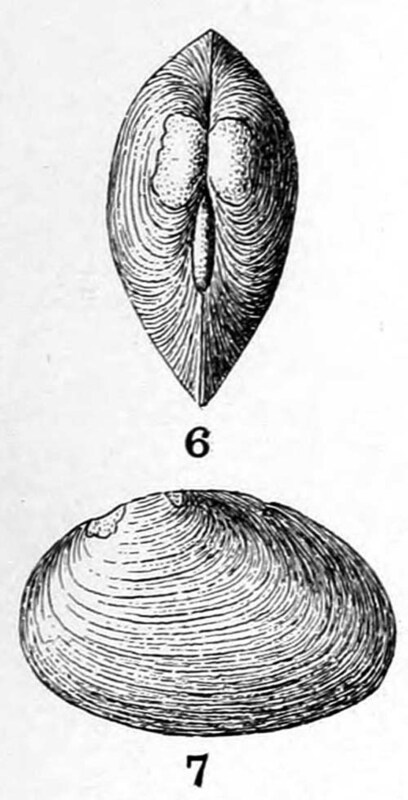 3, fig. 2. Simpson, 1914, Descr. Cat. Naiades: 910. Type(s): HOLOTYPE (MONOTYPY) USNM_84210, Rio Taxtunilha [= Yaxchilan] (trib. to Rio de la Pasion), Guatemala. Unio conjugans B.H. Wright, 1899. B.H. Wright, 1899, Nautilus: 89. Simpson, 1900, Proc. Acad. Nat. Sci. : 79, pl. 4, fig. 1. 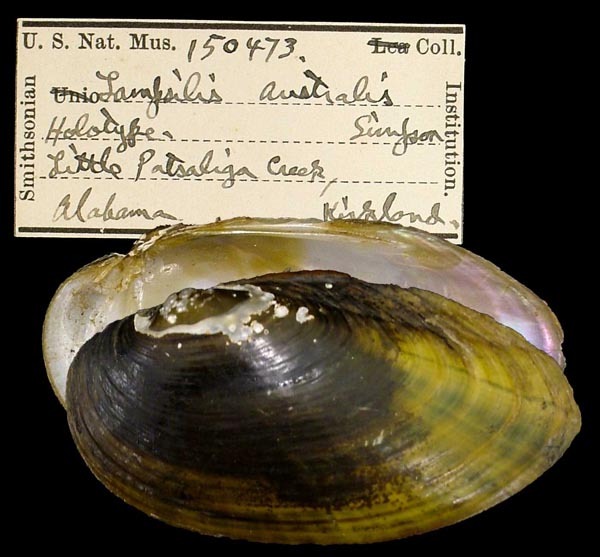 Type(s): HOLOTYPE USNM_159501, Hiawassa River, Polk Co., Tenn.
Lampsilis australis Simpson. — Simpson (1900: 75). Lampsilis brittsi Simpson. — Simpson (1900: 76). Lampsilis fallaciosus (Smith). — Simpson (1900: 74). Lampsilis kirklandianus S.H. Wright. — Simpson (1900: 76). Lampsilis mearnsi Simpson. — Simpson (1900: 75). Lampsilis villosus B.H. Wright. — Simpson (1900: 77). Medionidus walkeri B.H. Wright. — Simpson (1900: 77). 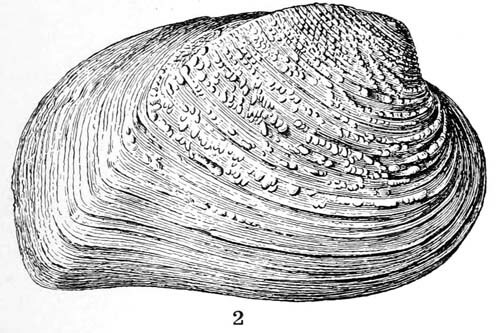 Nephronaias reticulatus Simpson. — Simpson (1900: 77). Nodularia cylindracea [sic] Simpson. — Simpson (1900: 84). 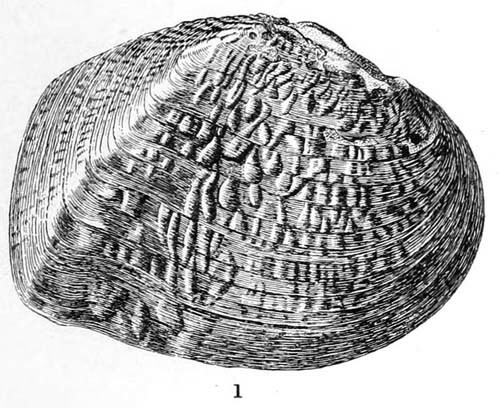 Obovaria rotulatus B.H. Wright. — Simpson (1900: 78). Obovaria tinkeri B.H. Wright. — Simpson (1900: 78). Pleurobema argenteus pannosa Simpson. — Simpson (1900: 82). 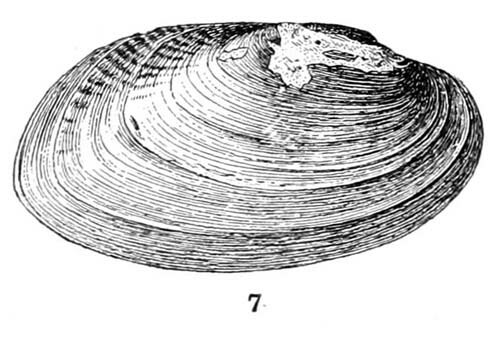 Pleurobema avellana Simpson. — Simpson (1900: 81). 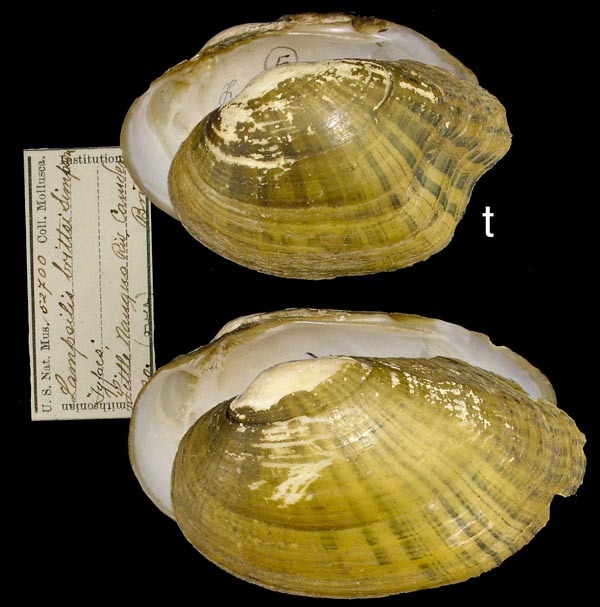 Pleurobema brevis subelliptica Simpson. — Simpson (1900: 80). 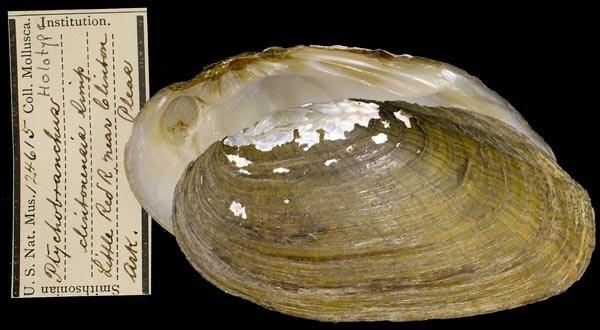 Pleurobema harperi B.H. Wright. — Simpson (1900: 81). 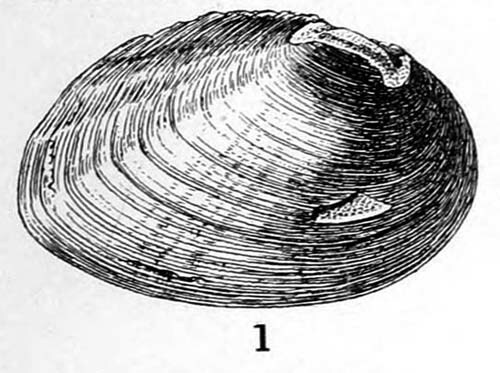 Pleurobema patsaligensis Simpson. — Simpson (1900: 82). 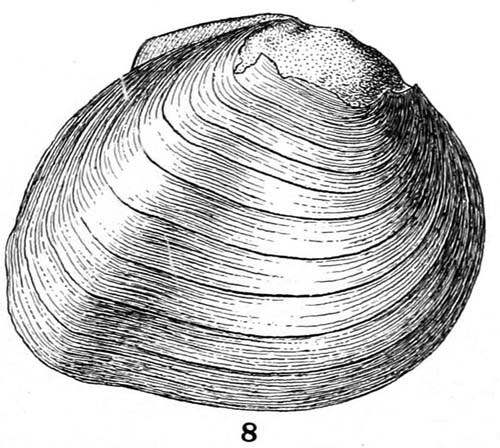 Pleurobema pinkstoni S.H. Wright. — Simpson (1900: 81). 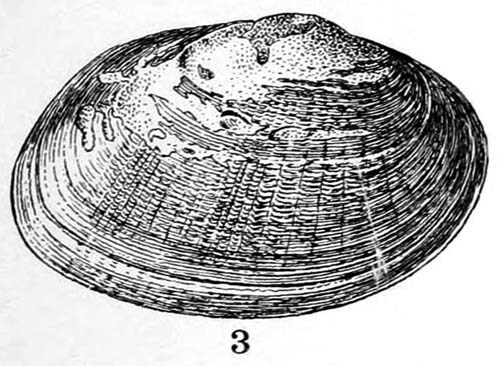 Pleurobema reclusa B.H. Wright. — Simpson (1900: 82). 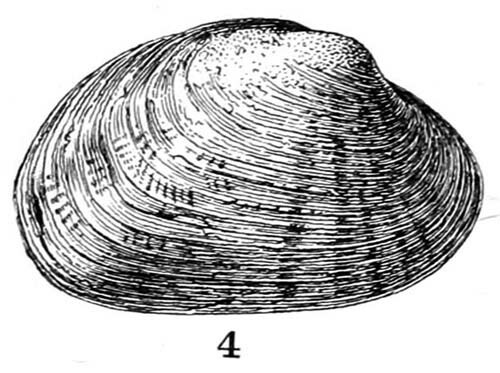 Pleurobema strodeana B.H. Wright. — Simpson (1900: 81). Pleurobema swordiana S.H. Wright. — Simpson (1900: 81). 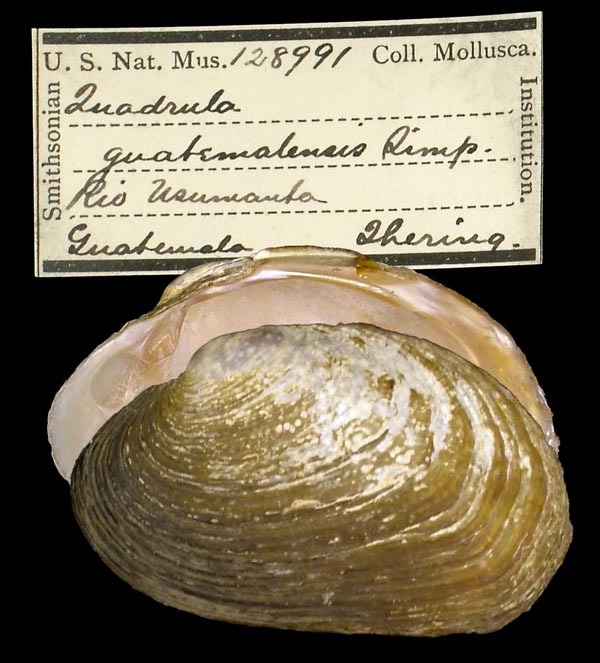 Pseudodon loomisi Simpson. — Simpson (1900: 84). 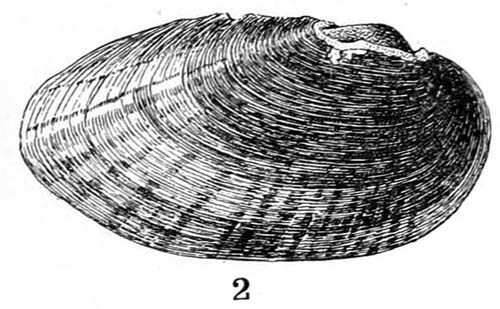 Ptychobranchus clintonensis Simpson. — Simpson (1900: 79). Quadrula flexuosa Simpson. — Simpson (1900: 83). 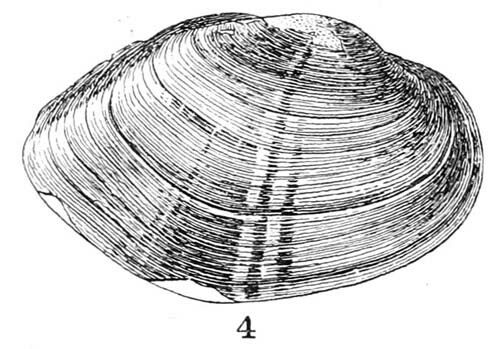 Quadrula guatemalensis Simpson. — Simpson (1900: 83). Quadrula rudis Simpson. — Simpson (1900: 82). Quadrula triumphans B.H. Wright. — Simpson (1900: 83). Tritogonia conjugans B.H. Wright. — Simpson (1900: 79). Unio brimleyi S.H. Wright. — Simpson (1900: 80). Unio burtchianus S.H. Wright. — Simpson (1900: 80). Unio buxtoni B.H. Wright. — Simpson (1900: 80). Unio dispalans B.H. Wright. — Simpson (1900: 80). Unio iheringi B.H. Wright. — Simpson (1900: 79). Unio lehmani S.H. Wright. — Simpson (1900: 80). Unio pinei B.H. Wright. — Simpson (1900: 80).